وزیر آموزش و پرورش، خاطر نشان کرد که ریشه کنی ایدئولوژی اخوان المسلمین مستلزم کوشش دائمی و هوشیاری وزارت اموزش و پرورش میباشد. او افزود که مقامات وزارتخانه، شخصیت های دانشگاهی و مقامات آموزشی بر این نکته آگاهی دارند که در زمان و در جریان پیکار با این ایدئولوژی نمیتوانند سهل گیر باشند. وزیر آموزش و پرورش عربستان، دکتر احمد ال ـ عیسی اظهارات شاهزاده محمد ابن سلمان، دایر بر اینکه ایدئولوژی تروریستی اخوان المسلمین به نظام اموزشی پادشاهی سعودی رخنه کرده است را تأئید کرد. عیسی اضافه کرد که، عربستان سعودی به هرکسی که این ایدئولوژی را بپذیرد یا به آن همسوئی نشان دهد مبارزه خواهد کرد. بنظر عیسی، سران اخوان المسلین که در دهه ۱۹۶۰ از مصر گریختند و به عربستان سعودی آمدند، در مدارس و دانشگاههای کشور وارد شده و به آموزش پرداختند که همراه و درجریان کار آموزشی خود شروع به تآثیر گذاری روی معلمان و برخی مقامات آموزشی و تربیتی کرده و به بازنویسی و تغیر مواد آموزشی پرداختند. آنها همچنین فعالیت دانشجویان و دانش آموزان را مطابق با نگاه انحرافی اخوان المسلمین جهت داده و سازمان دادند. عیسی اضافه کرد که زمانی بطول انجامید تا این رخنه گری و تهدیدی که اخوان المسلیمن ایجاد میکردند شناخته شود و این هنگامی بود که انحراف زدایی از سیستم آموزشی و حذف مواد گنجانیده شده توسط اخوان المسلمین در نظام آموزشی در دستور کار قرار گرفت. کوشش برای مبارزه با ایدئولوژی افراطی اخوان المسلمین شامل؛ بازنویسی و بازبینی نظام آموزشی، تغیر و تکمیل کتابهای درسی بنحوی که اطمینان حاصل شود که آنها از ایده های اخوان المسلمین، حاشیه ها و عقبه های آنان در مدارس و دانشگاهها پاک گشته اند، اخراج هرکسی که با اخوان المسلمین همسوئی دارد، برطرف کردن تمام ایده ها و نشانه های آنان در جایگاههای آموزشی و تربیتی، کوشش در اینکه آگاهی نسبت تهدیدات اخوان المسلمین در واحد های آموزشی ارتقا یابد. 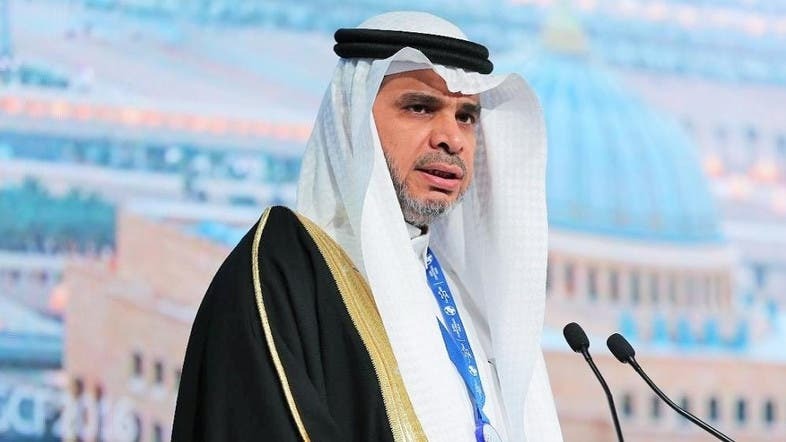 Saudi Education Minister Dr. Ahmed Al-Eissa confirmed Saudi Crown Prince Mohammed bin Salman’s statement that the terrorist Muslim Brotherhood’s ideology “invaded” the education system in the kingdom. Eissa added that Saudi Arabia is fighting anyone who adopts this ideology or sympathizes with it. Eissa added that it wasn’t until later that they realized the threat of the Brotherhood and this is when they launched their efforts to rid the educational system of the flaws resulting from the Brotherhood’s approach. The minister noted that eradicating the Brotherhood’s ideology requires continuous efforts and the ministry’s vigilance, adding that the ministry’s officials, university principals and education officials are aware that they must not be lenient when combating this ideology. Panelists during a discussion at the first Women Economic Forum in Riyadh, Saudi Arabia on Monday. The two-day ‘Lets talk about tomorrow’ forum aims to promote positive change. Manama: Saudi Arabia is holding is first Women Economic Forum, which opens in Riyadh today. Panelists will discuss Saudi Arabia’s economic transformation amongst an audience of business leaders, policy-makers, entrepreneurs, NGOs, artists and youth. The forum comes at a time where the country is witnessing the rapid diversification of its economy, and reinforcement of investment opportunities, organisers said. Tremendous pro-women changes have been recorded in Saudi Arabia as the country is moving ahead with an ambitious drive to overhaul society and empower women politically, socially and economically. Crown Prince Mohammad Bin Salman, has pushed through a number of other reforms to relax some of the country’s ultraconservative rules, including allowing women into stadiums to watch sports, bringing back musical concerts and promising a return of movie theaters this month after a more than three-decade ban. The reforms are aimed at improving Saudi Arabia’s image abroad, attracting foreign investors, increasing women’s participation in the workforce and boosting local household spending as lower oil prices force the kingdom to undertake sensitive austerity measures. The inclusion of women and youth is crucial to driving a sustainable economy in Saudi Arbaia and authorities they will be able to play leading roles going forward. Empowerment is also seen as the strongest factor in stimulating any national economy and increasing a country’s competitiveness. Economic Empowerment, Innovation, Saudisation, Diversity and Inclusion (D&I) and Entrepreneurship will be addressed during the forum that comprises a broad range of panel discussions and talk shows as well as hands-on workshops. First Saudi female boxer Halah Al Hamrani, Shura Council Member Mody Al Khalaf, Director Center for Career Development (CCD) at Saudi Arabian Cultural Mission (SACM) Nahlah Al Jubeir and former editor-in-chief of Saudi Gazette Khalid Al Maeena will be among the Saudi speakers to address the forum.